I am indebted to Ted Stoddard who provided the information that led to this research. His excellent article entitled "The Whiteness of the Driven Snow: An Evaluation of the Word 'Snow' in the Book of Mormon" is hosted on the BMAF website. 1 Nephi 11:8 is the Book of Mormon's only reference to wintry weather, but it is clear from that verse Nephi1 had some knowledge of snow. That knowledge could have come from the version of the Old Testament contained on the brass plates of Laban. Pre-exilic books in the King James Version of the Old Testament mention the word "snow" 18 times. 7 of those verses contain the simile "white as snow" which is the sense of Nephi's meaning. Nephi1 could also have had first-hand experience with snow either in the Old World or the New. 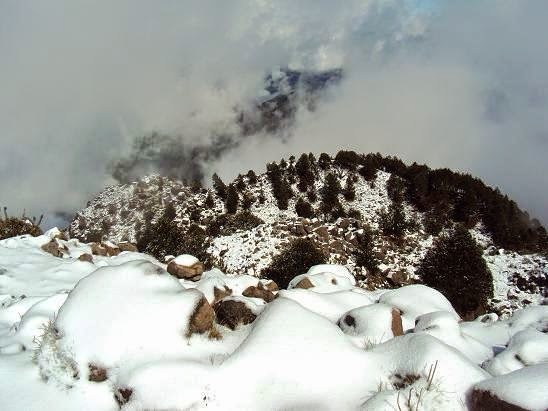 Mount Hermon, the highest peak in Israeli-controlled territory at 2,236 meters, receives enough snowfall to support skiing most years. Mt. Hermon Ski Resort opened in 1971. It has 5 chairlifts and 14 runs with a combined length of 45 kilometers. The resort capacity is 12,000 skiers a day on the mountain. Jerusalem and environs experience occasional snowstorms. For the unusually heavy snows of 1950 that blanketed even the shores of the Dead Sea, see the Wikipedia article "1950 Snow in Israel." The snow accumulation in Jerusalem reached 60 centimeters that year. January 2, 1992 Most parts of Jerusalem were covered with 50 centimeters of snow. January 27, 2000 30 centimeters of snow accumulated in Jerusalem. See Ted Stoddard's article above for a photograph and more details. December 12-13, 2013 Snow shut down Ben Gurion Airport in Tel Aviv. 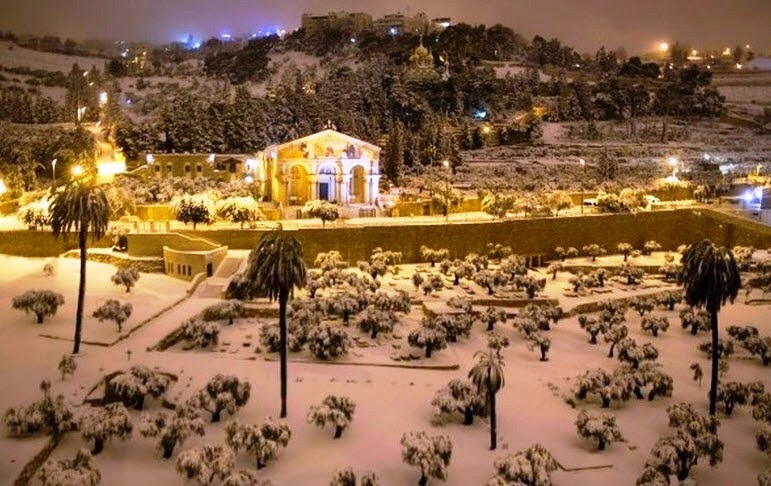 Some parts of Jerusalem had 40 centimeters accumulation. January 7, 2015 20 centimeters of snow fell on Jerusalem, leaving 17,000 homes without power. February 21, 2015 35 centimeters of snow accumulated in Jerusalem, closing all roads in and out of the city. Snow was not common in Jerusalem ca. 600 BC, but it was not unknown and Nephi1 certainly could have experienced it during his youth or childhood. After making landfall along the Pacific coast of Mexico or Central America, we think Nephi1 spent most of his adult life in what is today Guatemala. 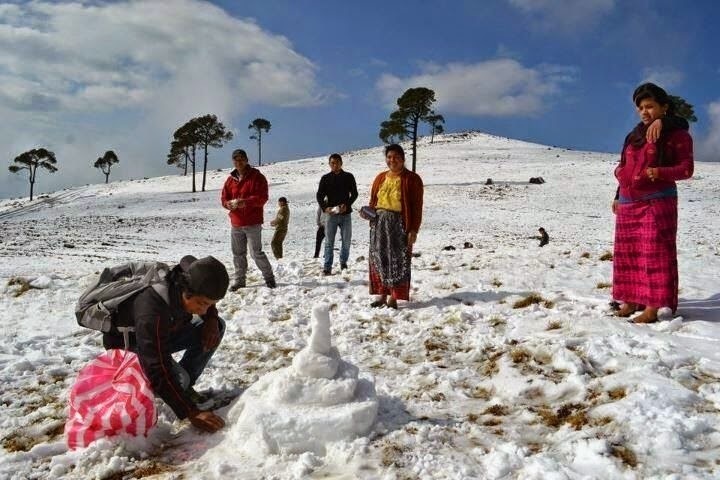 Some higher elevations in that country do experience snow. 3 volcanic peaks in Guatemala (Tajumulco, Tacana & Acatenango) rise above 3,960 meters (13,000 feet). Many years, they get snow on top. Arctic peoples famously have many words describing different kinds of snow. The Maya have only one word, "bat," which means both snow and hail, They knew what snow was, even though they didn't see it very often. This is a photo taken atop Tacana on the Mexico/Guatemala border. 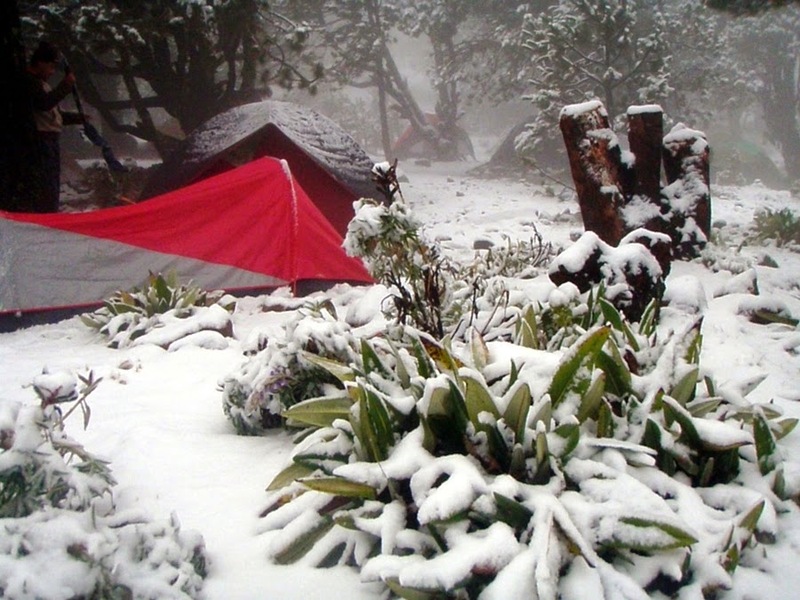 This photo was taken on the slopes of Tajumulco three years later. Another photo taken that same day about 14 air kilometers away. Ixchiguan sits at an elevation of 3,210 meters. And this is a photo of the twin volcanoes Fuego & Acatenango as seen from Antigua. These impressive peaks rise 2,375 meters above the valley floor. 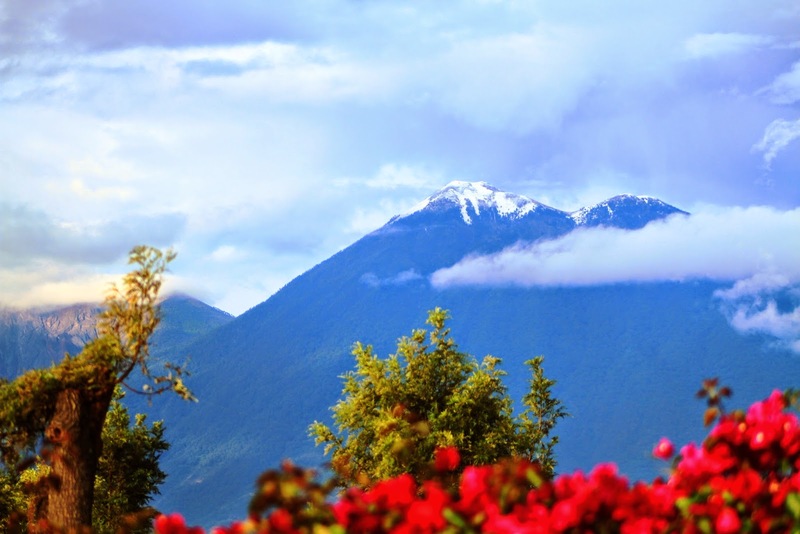 Kaminaljuyu, which we believe was the city of Nephi, is 38 air kilometers from the summit of Acatenango. It is 22 air kilometers from the city of Antigua where this photo was taken. So, if Nephi1 was at Kaminaljuyu as we suggest, he could have seen a sight similar to this. 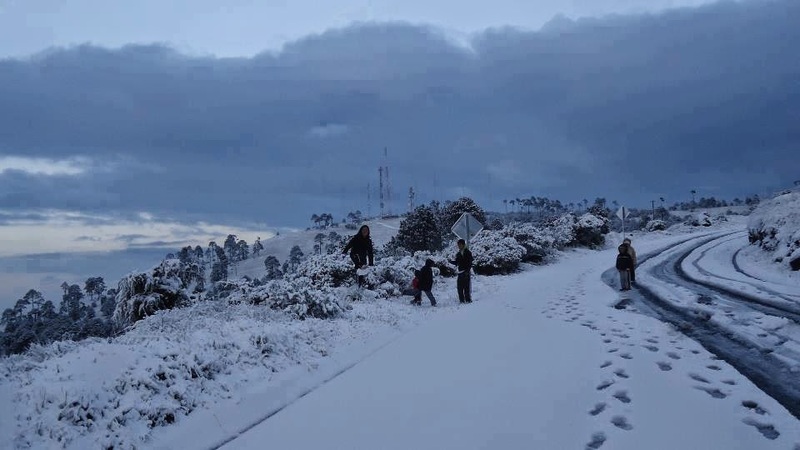 Snow was not common in Guatemala ca. 600 BC, but it was not unknown. Nephi1 could have heard about it from others or even experienced it personally.